So over the past few months appearing on twitter #Physed Teachers have been experimenting with gifs. I think these are great to show students how to perform a skill without necessary a great internet bandwidth. 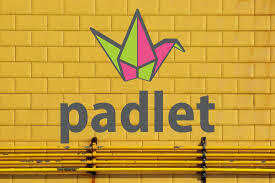 So this week I was contact by @EF_efu asking me if you could use gifs in Padlet. Now I have been a big fan of padlet for a few years, and even used it to help me to teach @SchleiderJustin & @NicholasEndlich class when I did my international teaching from my front room. So I had read @JoeyFeith article about putting them in a google form which is a great idea, but by using padlet they could be a great collaboration tool in real time in the classroom. 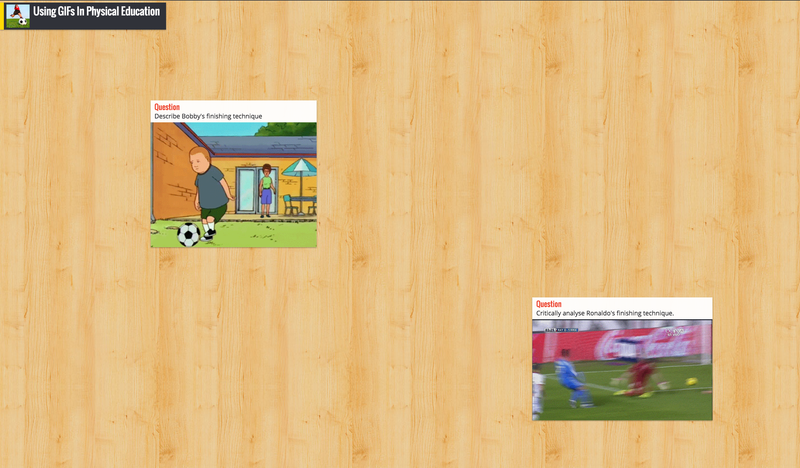 To be honest I wasn’t sure if they could be inserted to padlet but @EF_efu showed me they could. The possibilities are really endless. So #Physed Teachers How could you use this in your lessons? « What’s important to you? How social is social media?